An international team of scientists believe they have across the “microbial Pompeii” after they found preserved bacteria and microscopic particles of food on the surface of teeth more than 1,000 years old. 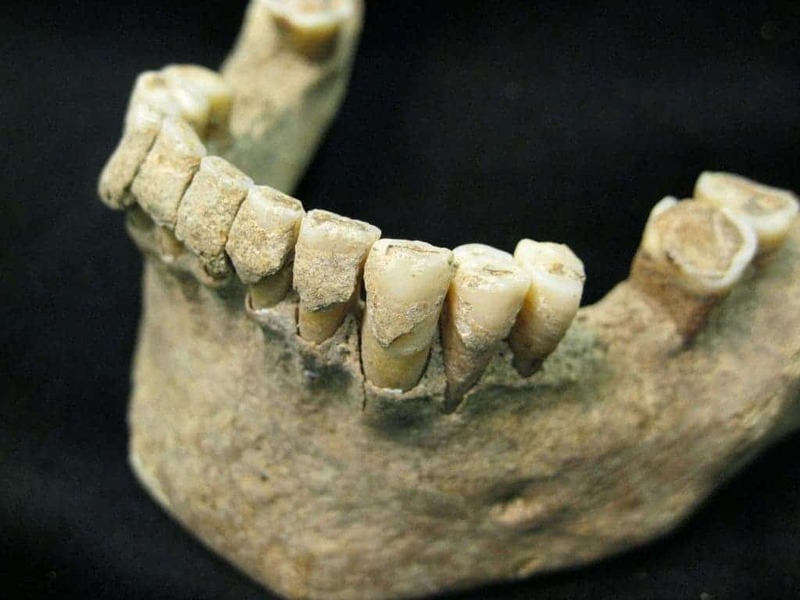 The findings were made after the dental calculus or plaque that covered the ancient teeth was analyzed. Some very important discoveries were made in the process: ancient oral bacteria had already by then basic genetic machinery for antibiotic resistance even though the first antibiotics would only arrive eight century later; humans then as now were affected by the same oral bacteria, causing numerous potentially deadly diseases, despite diet has significantly shifted since ancient times. Researchers from University of Zürich, the University of Copenhagen, and the University of York were involved in the study which applied shotgun DNA sequencing to dental calculus for the first time. Unlike bone which when buried, per ritualistic customs, rapidly loses much of its molecular information, dental plaque grows slowly in the mouth and enters the soil in a much more stable state helping it to preserve biomolecules. Fossilised dental plaque (calculus) on the teeth of a middle-aged man from the Medieval site of Dalheim, Germany, ca. AD 1100. Photo credit: Christina Warinner. Estimates of the number of bacterial species in the oral cavity vary between 500 to 650 different species, but truth is they may be a lot more. In all, some 20 billion oral microbes live in the average human mouth. Some are helpful, some are nasty. For instance, the oral microbiome is responsible for the development of periodontal disease that causes distinctive proteomic changes in your tooth. The decay is characterized by inflammation and tooth loss. One in ten people in the world suffer from periodontal disease, which at its own has linked with to diverse systemic diseases, including cardiovascular disease, stroke, pulmonary disease, and type II diabetes. It’s really common in humans, zoo animals, pets, domesticated farm animals and such, but never in wild animals. Clearly, there’s something in the human lifestyle, which fringes upon the rest of the animals that depend on humans, that causes this changes. “We knew that calculus preserved microscopic particles of food and other debris but the level of preservation of biomolecules is remarkable. A microbiome entombed and preserved in a mineral matrix, a microbial Pompeii,” said Professor Matthew Collins, of the BioArCh research centre in the Department of Archaeology at York. Many believe that these changes occurred once with the introduction of our now modern lifestyle and diet. The analysis of the ancient teeth, and subsequent lurking bacteria, shows however that ancient human oral cavity carries numerous opportunistic pathogens and that periodontal disease is caused by the same bacteria today as in the past, despite major changes in human diet and hygiene. 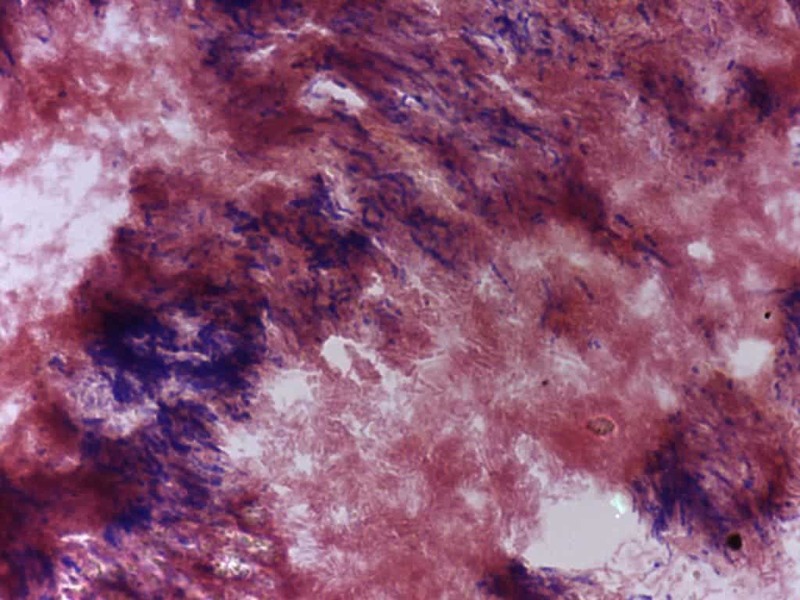 Ancient dental calculus magnified 1,000 times reveals the presence of millions of Gram positive (blue) and Gram negative (red) oral bacteria fossilised in situ. Photo credit: Natallia Shved. “As we learn more about the evolution of this microbiome in response to migration and changes in diet, health and medicine, I can imagine a future in which most archaeologists regard calculus as more interesting than the teeth themselves,” says Professor Collins. Analyzing the ancient micriobiome was no easy task, mind you. The researchers had to shift through millions of genetic sequences like puzzle pieces in order to reconstruct the complex biology. Besides the novel use of shotgun DNA sequencing, the study also performed for the first time Raman spectroscopy on ancient dental calculus. “Raman spectroscopy which involves the interaction of light and matter does not destroy archaeological samples. By comparing modern and ancient dental calculus, Raman spectroscopy confirmed its very high preservation helping to verify it as a key archaeological material,” said Dr Yvette Hancock, of the Department of Physics at York. The findings were presented in a paper published in the journal Nature Genetics.